The amazing health benefits of turmeric include its ability to reduce inflammation, heal wounds, improve skin health, protect cognitive abilities, and ease menstrual difficulties. Turmeric also helps eliminate depression, alleviate pain, slow the aging process, protect the digestive tract, and prevent cancer. Closely related to the other members of the ginger family, turmeric is a perennial herb native to India and has the scientific nameCurcuma longa. The herb itself is derived from the rhizome of the plant, which is dried before the useful powdered form can be acquired. It needs a rather specific temperature and environment to thrive, so it is not widely cultivated throughout the world but is exported due to its desirability. The bright yellow color of the turmeric powder is perhaps its most striking characteristic. You’ve certainly seen it, even if you haven’t recognized it, and if you have ever enjoyed Indian food, you have almost certainly consumed it. Turmeric smells slightly like mustard but has a hot, almost pepper-like bitterness to it that complements a variety of dishes and makes it very popular in soups, sauces, curries, meat dishes, biscuits, ricepreparations, and as a general spice flavoring for dozens of other cultural dishes and specialties. Aside from its wide usage in food preparation, it has also been praised as one of the most comprehensive and powerful herbal medicines in Ayurvedic treatments and other traditional cultural remedies. Curcumin is the most important and active ingredient of this “super herb”. Turmeric juice is perhaps the most common form of the herb in medical use, but it can also be mixed into topical salves and creams. The essential oil of turmeric is also a powerful health agent. For now, let’s look at the health benefits of turmeric itself. Turmeric helps keep your skin healthy in many ways. It keeps pimples at bay by inhibiting the growth of pimple-causing bacteria and reducing the oil secretion by the sebaceous glands. The constant use of turmeric clears acne scars, which makes your skin flawless and glowing. Its antiseptic and anti-inflammatory properties accelerate the healing of a cut and soothe skin irritation. Turmeric’s major component curcumin, loaded with antioxidants, fights signs of aging like wrinkles and pigmentation by curbing the growth of free radicals. The golden spice, turmeric, helps accelerate the metabolism rate and lets your body burn a significant number of calories, leading to weight loss. It is also usefulin reducing fat mass and detoxification of the liver, which are essential contributors when it comes to diet-induced weight loss efforts. Also, with curcumin, turmeric can be an ideal weight-loss supplement as it lowers bad cholesterol levels and is responsible for suppressing inflammatory messages in muscle, pancreatic, and fat cells. So, while your body isn’t fighting inflammation, it can easily focus on reducing weight. One of the most well-known applications of turmeric is as an anti-inflammatory agent. The active ingredients in turmeric are extensive but a particularly crucial compound is curcumin. This substance has received considerable attention in the medical community due to its potent anti-inflammatory abilities. In fact, the strength of this substance is likened to some of the strongest pharmaceutical options for reducing inflammation. For this reason, consuming turmeric is often suggested for the reduction of arthritic pain, gout, and muscle pain following exercise or injury. Turmeric can give this relief in either topical form or when normally consumed. A topical salve can also be made to reduce the inflammation of hemorrhoids. Turmeric has long been used as a stomach soother and is particularly useful in treating constipation, cramping, and irritable bowel syndrome (IBS). The anti-inflammatory activity of curcumin also comes into play here, as it lowers the chances of developing ulcers, bleeding in the bowels, and generally eliminates irritation throughout the gut. Turmeric is often recommended for patients suffering from Inflammatory Bowel Disease (IBD) and even more serious conditions such as Crohn’s disease. The dietary fibercontent found in turmeric, although not off the charts, is still significant and can help smooth your digestive processes. If you suffer from severe menstrual discomfort, cramping, bloating, excessive bleeding, or mood swings, turmeric may be precisely what you’ve been looking for. The anti-inflammatory and soothing nature of the herb’s natural compounds can relieve most symptoms of menstruation. Although this crippling, fatal disease is not discussed as often as cancer or heart disease, this particular condition attacks the lungs with thick mucus as well as the pancreas. The curcumin found in turmeric has been shown to correct the protein-folding mutation that can cause the development of this deadly disease. It seems that the whole world is searching for a cure for cancer, as well they should be; turmeric is one of the best herbal approaches to the treatment or prevention of various types of cancer. Curcumin is a powerful antioxidant agent that has been directly linked to a reduction in colon cancer cells and is also a direct inhibitor of a protein that is essential for tumor growth. This makes turmeric a wonderful addition to any diet as a preventative measure and as a means of slowing metastasis of cancerous growth. The most extensive research on turmeric’s cancer prevention effects has been in colon cancer, whereas other types of cancer research related to curcumin are currently underway. Turmeric and its active organic compounds have also been found to improve liver function and reduce the levels of toxicity in the body by stimulating the lymphatic system and ensuring that toxins are removed efficiently. This is to say that the antioxidant activities of turmeric are an ideal solution for liver ailments or toxicity. There are a few different angles by which turmeric can boost your cardiovascular health – curcumin and vitamin B6. Vitamin B6 can efficiently inhibit the production of homocysteine, which is a negative bodily by-product that seriously damages cell walls. These weakened walls can cause a number of complications in the heart, particularly when exacerbated by high blood pressure or plaque build-up. Secondly, curcumin directly balances your cholesterol levels by eliminating excess LDL (“bad cholesterol”) from the arteries and blood vessels. This can help prevent atherosclerosis and when combined with stronger blood vessels, turmeric represents a comprehensive solution for a wide range of heart issues. In traditional medicine, turmeric was often relied on to boost cognitive abilities, increase concentration, and boost memory retention. Many of those traditional beliefs have ended up being legitimated by research, and turmeric is still considered a brain-boosting herb. Aside from increasing general cognitive ability, it can also protect the neural pathways from long-term oxidative stress and the build-up of plaque. As a powerful antioxidant herb, turmeric can stimulate neural activity and prevent cognitive degradations, which often come in the form of Alzheimer’s and dementia. Numerous studies have shown that curcumin is highly efficient in clearing out the amyloid plaque, which is a major indication of Alzheimer’s progression. A study also found that curcumin improved mood and cognitive function in non-demented older people suffering from mild age-related memory issues. Curcumin truly is a versatile substance, and the research has even delved into its effects on the hormonal balance in the body. Studies have shown that curcumin has a similar effect as Prozac on patients suffering from depression, mood swings, anxiety, and stress. This makes it a powerful alternative to pharmaceutical routes, which often have dangerous or addictive side effects. Word of Caution: Although not commonly considered to be an allergenic substance, turmeric can have certain side effects on the body, including nausea, dizziness, or diarrhea, particularly when consumed in large quantities. In certain cases, excessive amounts of turmeric consumed in a medicinal capacity have caused heart irregularities. Also, turmeric may slow blood clotting by increasing the effects of anti-clotting medicines. 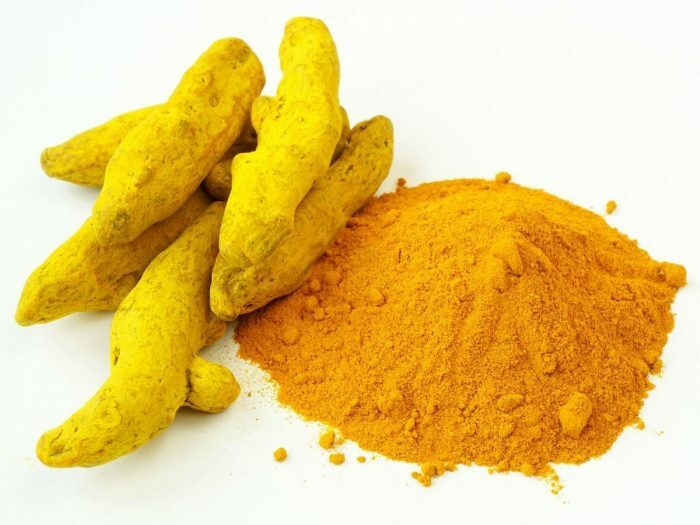 Therefore, people on anticoagulant or blood thinning medication must avoid turmeric. Always speak to a medical professional before adding this powerful substance to your diet or supplement regimen, and remember – everything should be taken in moderation!